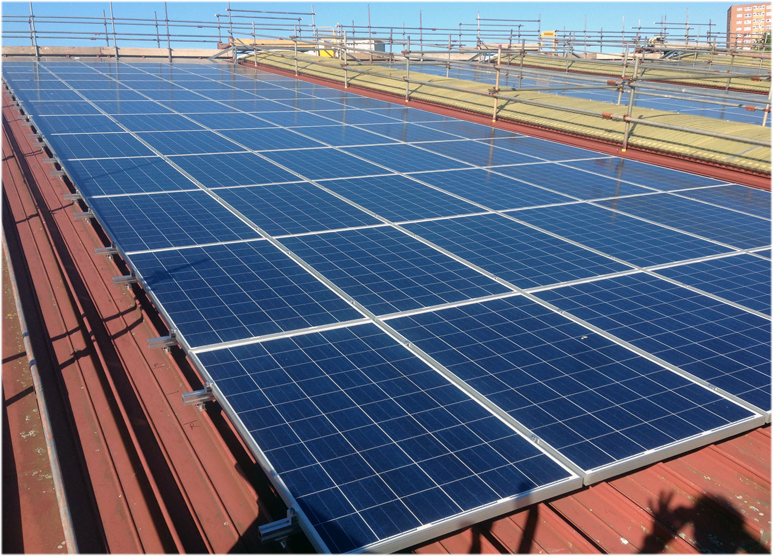 As part of the Bristol City Council’s Solar PV framework, 1 World Solar have installed a 97.25kW solar PV system at Easton Leisure Centre in Bristol. 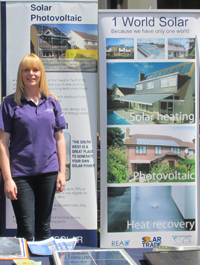 1 World Solar have installed the system as a member of the Bristol Area Solar Installers Cooperative (BASIC) who won the contract in partnership with Midas. This installation is one of three commercial installations completed by BASIC including Horfield Leisure Centre and Portway Rugby Club, in the first tranche of projects for Bristol City Council. The system comprises of 389 Axitec poly-crystalline solar panels connected to three Samil Solar Lake 30,000TL inverters in the leisure centre’s plant room. The design had to incorporate three large roof lights which span the entire length of the roof. The panels are mounted to the standing seam roof using Sunfixings mounting system, which is manufactured in the UK. “1 World Solar and BASIC are proud to be involved in this solar PV framework with Bristol City Council, especially as Bristol is celebrating being European Green Capital 2015. 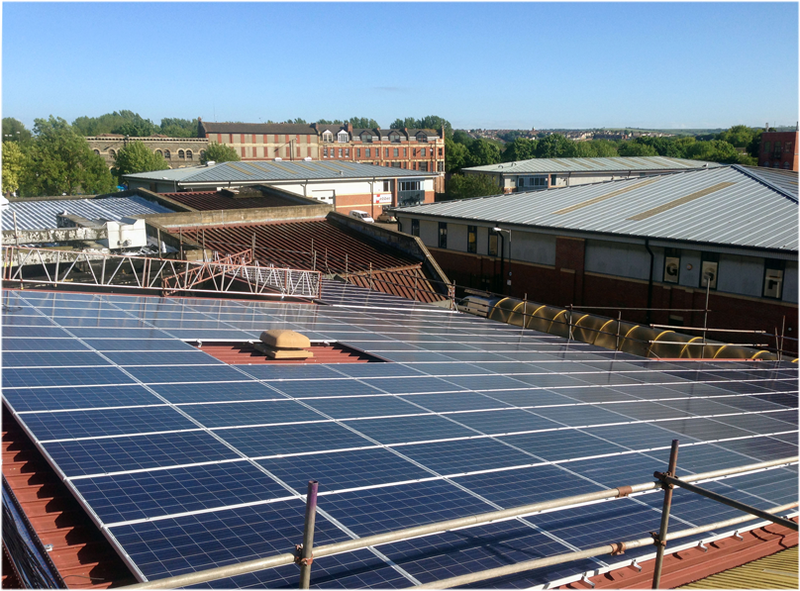 This is the beginning of a long term relationship with the Council to install solar PV across the whole city of Bristol” – Jon Walker, Managing Director of 1 World Solar and Company Secretary of BASIC.